Annie is a little more fussy than the boys. She likes to have privacy when relieving herself. I understand completely, but the boys don’t share the need for alone time in the box. Mercy seems to show up as soon as Annie jumps in one of the boxes. Just when she gets Mercy to move along, Eddie arrives to see what it going on. Annie lets Eddie know there is nothing to see here and that he should move along as well. There are four litter boxes to choose from but it seems the one in use is the most popular. Three Cats = Three Times Plus One the Pee Yew! When we went from a one cat to a three cat home, we didn’t think about the increase in the pee yew from the litter boxes. Three cats means we have four litter boxes to make sure every cat has a chance to get to the box! Even though as soon as Annie chooses a box to use, the boys seem to think that box is the best too. Our house is open format so even when we keep a rigorous scooping schedule, sometimes the pee smell comes wafting through and smacks us right in the nose! 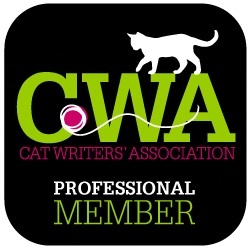 Thank goodness for Tidy Cats® New LightWeight Ammonia Blocker! We use the Instant Action litter with Ammonia Blocker and I have to say I am impressed. Paul is the designated scooper, due to my asthma, and he said even if he gets off schedule with his scooping, the pee smell is blocked and not able to escape the box! 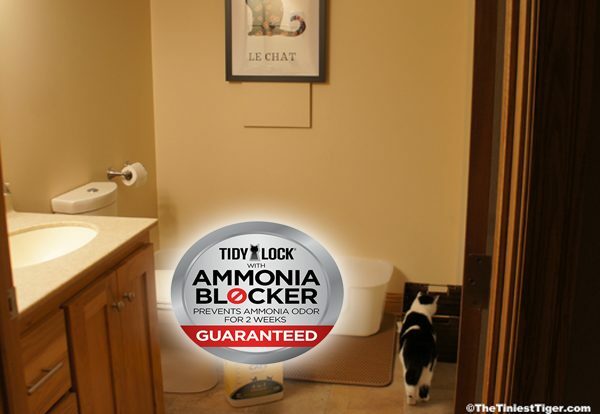 When used as directed, the Tidy Lock technology is guaranteed to block ammonia odor for two weeks! I am not going to tell Paul, but the new formula is 99.9% dust free so I could help out scooping more often. 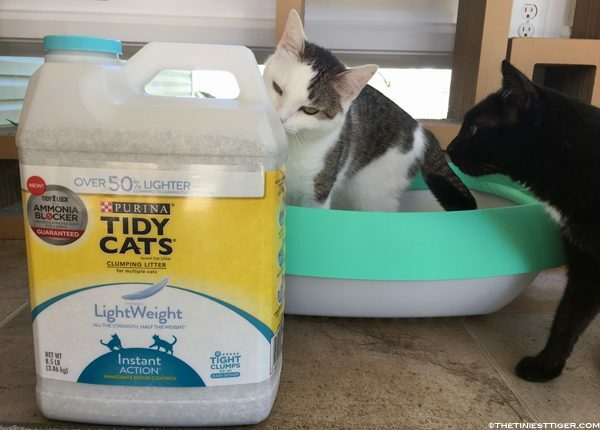 New Tidy Cats LightWeight with Ammonia Blocker is available at retailers nationwide, We picked up ours at our local grocery store but Tidy Cats has a retailer locater and you can download a $2 coupon too. Pounce here! Last year we received a Tidy Cats Littervention to help us keep our litter box area clean and neat. This inspired us to kick off a whole house tidy up schedule to clear clutter and organize our lives better. We have been following the Japanese Art of Tidying and it is truly life changing. We have completed our kitchen and every item now has a home. We even roll up our dishcloths and towels and store them vertical in the drawers. This simple change saves time and makes our home feel more peaceful. We love The Container Store and selected several items to help us store our essentials in an orderly way inside our cupboards. Now we keep everything in its place and everything looks great too. 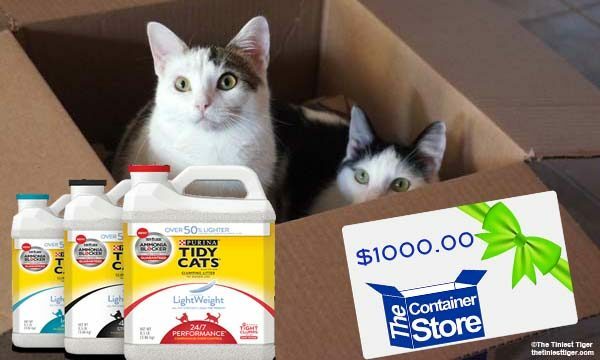 So, I can’t tell you how excited I was when Tidy Cats offered to give one of you not only 5 coupons for the new Tidy Cats LightWeight with Ammonia Blocker but a $1000.00 gift card to The Container Store! 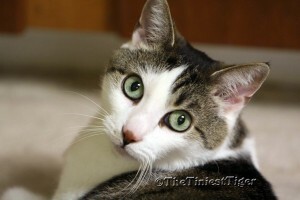 The Tidy Cats Contain Yourself $1000 Gift Card Giveaway! 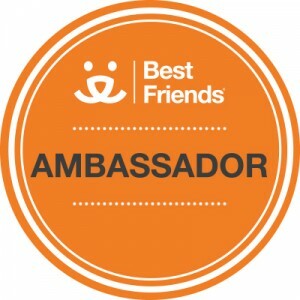 One member of The Tiniest Tiger community will receive 5 coupons for the new Tidy Cats LightWeight with Ammonia Blocker and a $1000.00 The Container Store Gift Card!! Me-Wow!!! Let us know in the comment section below: Why are you excited to try the new Tidy Cats with Ammonia Blocker? How will you contain yourself if you win the gift card? This giveaway is open to USA addresses only! Void where prohibited. I would be so thankful for the ammonia blocking cat because with 3 cats the smell can be strong. This would probably help with that. I’m interested to know and I don’t know how I would contain myself if I won the gift card. My mother and I love organizing our houses. I would love to share it with her! My cat only likes Tidy Cat liter, been using it for years and couldn’t be happier with it. The ammonia blocker means if I miss a day scooping the box, no one with notice. If I win the gift card, more than likely I will donate it to ABRA, a animal rescue foundation that a good friend runs. The Tidy Cat with Ammonia Blocker would be a blessing as having 2 cats is a smelly business in a very small place. Winning a 1k gift card would be a reason to not contain myself and scream for joy as this would make Christmas possible for my family. I have 4 indoor only cats. The peeyew could get pretty bad if I didn’t stay on top of scooping. Anything that kills the ammonia smell I’m willing to try. My 2 young ones are fascinated by me scooping the boxes. One of them will jump in sometimes even before I’m done and I have to wait on them to finish so I can finish. That fresh pee smell can almost knock you out! I’m getting ready to move so the Container Store gift card would come in awfully handy! We would absolutely Love Tidy Cat with Ammonia Blocker in our household of 8 cats, including our newest cat that we flew all the way from So. Ca when her senior owner could no longer keep her after 10 years! She and her 7 new friends would be crazy about it being almost completely dust free in our large cat family! We would barely be able to contain ourselves with joy over using the $1,000 gift card from The Container Store to help us contain all the pet food, cat and dog treats, pet toys and pet brushes as well as organizing our people stuff, too, except that all the new containers would help us so much! This would be such a purrfect blessing! I work for the Container Store so I won’t be entering the contest, but I am so proud of them for participating. Love me some TidyCats! With four critters, I’ve used both the clumping and non-clumping varieties — clumping in my Litter-Robot and non-clumping in my back-up box. Best-smelling kitty litter on the market. If I win we’re getting a new cat tree. And with 4 cats the new formula is hopefully going to work better! Tidy Cat is awesome and they are always getting better every day. Happy and excited to try any of their new products!!! i would be excited to win because I would give it to my daughter that has 3 kitties. Swapping the litter out twice a month would be great! I don’t think I’ll be able to contain myself if I win. I love Tidy Cats. This is the only litter i buy now but didn’t see the ammonia blocker in our stores yet. This gift card would be great i would spoil my Baby Girl rotten. Would love to be able to donate this, if I win, to Quad City Paws, a wonderful rescue place! Excited about the low odor. If I won, I’d share with my kitties. Sounds like an improved type of litter. I would use the money to help 2 stray cats that call my house home. My cat goes outside and they all hangout together. Wow! This stuff would definitely help keep my house less smelly! We have several cats of our own (with the accompanying number of litter boxes) and I’m also fostering a feral mom and her kittens. Tidy Cats with ammonia blocker would certainly help with litter box odor. Plus, I am on Social Security and any savings on litter will definitely help the family. I’m in a pretty small house at the moment – would LOVe a good litter with good ammonia blocker. I will need those 5 coupons for our 5 cats!!! Needless to say, we will be trying this new ammonia blocker litter out as soon as we can get our paws on it! We also have much containing to do as we are about to move into a new home with smaller rooms, and if they’re not magically tidy, it will be an absolute cat-tastrophe in there! Tidy cats is the litter we use! I would share with my daughter and our animal pantry to help people who cant afford litter for there cats. Tidy Cats with ammonia blocker sounds wonderful! We have 5 cats and they all seem to pee in the same box, creating quite the … stink. My cats would enjoy having more Container Store products to store themselves in. As someone who has always used Tidy Cats in a multi cat household, an ammonia blocking litter would be awesome!! If I won the gift card, I would contain myself by building a new oasis for my indoor kitties, a weather-proof shelter for my feral kitties and if there is any money left, donate the rest to my favorite charity, Alley Cat Allies. We love Alley Cat Allies too! The oasis for your indoor kitties sound wonderful. We switched to Tidy Cat LW last March, and I couldn’t be happier. It does exactly what it says it would. We have five cats and lots of litter pans, and no smell. $1000 gift card would get supplies for two rescues we help with. That is so great to hear! The smell is gone here too!! 3 poopers here ready to put this to the test… plus we’re moving soon so there is plenty to contain! I have 5 cats and the litter boxes can get pretty stinky. I am hoping that the ammonia blocker works good for us! We have 5 cats, anything that helps to keep the odor down in the litter boxes would be awesome. 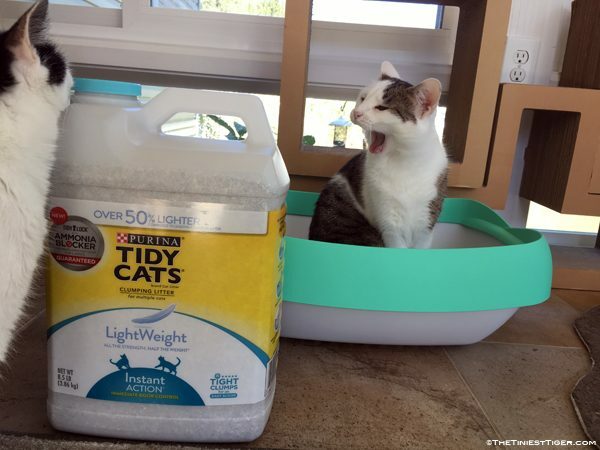 I tried the new Light Weight Tidy Cat litter and was impressed. Low dust and great clumping. The Ammonia Blocker would put this over the top. I would not be able to contain myself if I won. Time for some cat dancing! Yes! Please video the cat dancing! 🙂 We are impressed too! I’m excited to try Tidy Cats Light with Ammonia Blocker because, with 9 cats in the house, and despite scooping 2-3 times a day, it still can get stinky before I get to the box. Also, I’m disabled & have difficulty lifting heavy litter pails so I rely on my son to lift them for me, so it would be nice not to have to wait for him to move litter around for me. If I won the gift certificate I would Not be able to contain myself!! ? but seriously, I need to organize my life a lot better so I’ll look into the Japanese art of tidying you mentioned. ? The LightWeight is so much easier to handle. We are still a work in progress on our tidying mission. Sounds like just what I need, weightwise, but I’ll have a hard time giving up my Dr Elsey’s litter! My 12 precious furry stinkers have always used Tidy Cat and would love to win some new Tidy Cat !! Thanks so much! I love the shirt! Tidy Cats are already being used in our home by two crazy cats. Love the lightweight litter. And it keeps smells down in our one bedroom home. With 4 cats in the house sometimes the ammonia smell can be overwhelming even with several litter boxes. I currently use Tidy Cat because it is 99/9% dust free which is a priority for human and cat health let along more dust in the house 😉 If the light weight ammonia blocker is equally 99.9% dust free, it will be the one and only cat litter I will ever use! There are several cat agencies I support and would love to receive the $1000 gift card so I can purchase items to send to them. Thank you for the opportunity to win. I would love to try this, my cat is very stinky! The container store would help me so much, I need storage very badly. Tidy Cats with ammonia blocker sounds absolutely incredible. 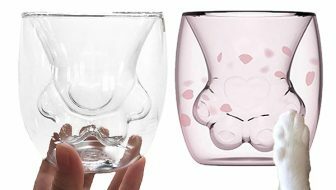 It will definitely be a huge help in our home with our 3 amazing cats. And the gift card would be an absolute dream come true! I have 3 cats so an Ammonia Blocker litter is needed around here. I would contain myself by making my storage a lot neater. Super Hurrah!!! 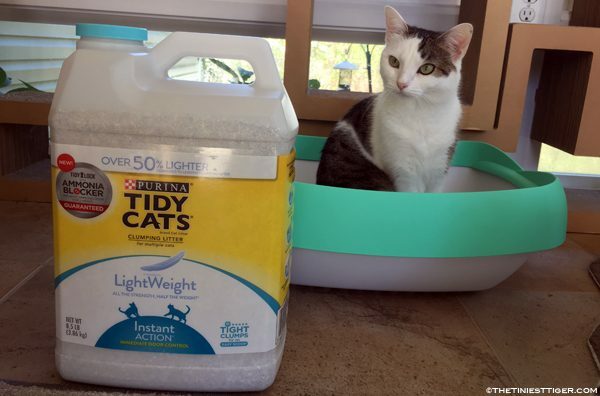 Congratulations Lisa, you are the winner of the Tidy Cat Contain Yourself Giveaway!!! Your prize will be shipping directly from Tidy Cats so please allow time for processing and shipping. Thank you for being a part of The Tiniest Tiger community! Thank you so much! My cats and I are thrilled. Today is my cat Vince’s 5th Birthday too!! Already love Tidy Cat so I am sure it will be great, they just get better and better. I would jump up and down right now and scream for 1,000.00. I got a new kitty and have not been able to get the money together to get her spayed and that would be first on my list to do. Is there any other kind of cat bedsides a Tidy Cat? I have one adult cat with seven kittens who share litterboxes in the barn so I go through kitty litter quick! We have five cats and even with several litter boxes they could still use this new Tidy Cat with Ammonia Blocker. 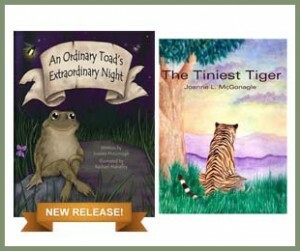 If I were to win I would contain myself with a few good new books to relax with and some new toys for my babies. I would love to try a new litter. Anything to help keep down on the odor, I am willing to try! 😉 I would probably buy new cat food containers and tubs with lids to help organize my garage. Thanks for the contest! If i win the $1000 gift card i will give a portion to Rikkis Refuge, a rescue organization in Virginia. I want to use Tidy Cat with ammonia blocker to get rid of the ammonia smell from cat urine with my two rescue cats. I want to try this new TidyCats with Ammonia Blocker because I’m always on the lookout for solutions to minimize odor from my litter box. I don’t think I could contain my excitement if I won. With 4 kits I am always on the lookout for good litter. I would like to try this! We have 7 sweet kittys, so we always use Tidy Cat. 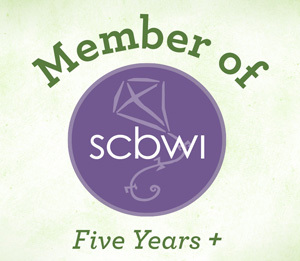 We would never think about changing brands! So, of course we would be so excited to try Ammonia blocker Tidy Cat. We would be thrilled to win the contest, especially if Mom wins the gift card. Because we all know that she would spend it all on us!!! Looking forward to trying this new dust free litter! Thanks for the opportunity at this great giveaway! I prefer Tidy Cats over other litters. it would be wonderful not to have to use candles and other scent smelling fragrances to mask the smell of cat urine. i would love it b/c no one coming in my house would know i had cats by the smell. i also like that it is almost dust free. I’m so excited about the ammonia blocker litter as I have one kitty of my three girls whose a little more stinky than the others…I think this new formula will greatly help! My boys love Tidy Cat. I recently shifted 2 of the litter boxes to the Tidy Cat Breeze system to reduce litter trafficking throughout the house. But I kept one traditional box because I still had a bunch of littler when I made the switch and having it cuts back on the frequency of needing to replace supplies in the Breeze boxes, for which supplies are more costly. It’s worked great – one of my boys almost exclusively uses the new boxes. But the other does one bit of business in the Breeze box and the other bit in the traditional box. So I’m eager to try the new littler type with Ammonia blocker because we all know what awaits us if you let that box go just a moment longer than you should before scooping/sifting. And the $1000 Container Store gift card? What couldn’t I do with that. From my plethora of shoes/purses/coats to my crafting supplies, the Container store could help me better store them all. And with some of those modular systems, they’d likely double as cat cubes because, you know, cats can’t resist anything boxlike. I also have asthma and would love to try this, I also love the amonia blocker for unexpected guests and the gift card would help me so much. I would jump for joy if I won! With three cats, you better believe I can use all the cat litter I can get my hands on! And the ammonia blocker would make the laundry room smell SO much better. And I am so un-organized that the Container Store would help me change that! We would be grateful for the Tidy Cat Litter, our Jazz wants her box clean and fresh. We are happy that she is happy and jumping for joy if we win. I have 5 cats that need their odors blocked! I used to use Tidy Cat before I started using only scoopable litter and it got to be a bit expensive and didn’t work as well as some of the other litters I’ve tried. I’m excited to be able to try a new formula and maybe be able to return to using their brand. As for the gift card, we’re in the process of buying a house and I can’t wait to be able to organize it better than I have been able to while we’ve been renting! I foster kitties and have several of my own. I already use Tidy Cats litter for them and it is my favorite litter to use . I will try a container or two for my furbabies and then share my winnings with my crazy cat lady friends. If I am so blessed to have won the gift card I would be so thrilled to share those winnings with some of the unfortunate hurricane 4 legged furbabies. Either a shelter or foster based rescue. Or a pet parent. I am blessed to be able to afford feeding all of my kitties so I would cry with happiness if I win. I also have 3 cats, and know the pee yew factor well. I need to try this litter. I love what The Container Store can do for me. I need to organize all the cat stuff. Bins for toys, shelves for extra kitty blankies, a place to organize all the litty box cleaning utensils. Just bought some of the tidy cats lightweight. Love the stuff. Anything that improves any odor from the litter box is a great thing. Also, with this amount of a gift card, I’d make sure my mom had plenty containers, too! We have 5 cats and clean their litter daily but still have the pee pee smell. The $1000 Container Gift Card would help us since we are about to remodel our master bedroom and bath. Thank you for this contest! I love Tidy cats already for my 3 cats! I can’t wait to try the newest Tidy Cats 99.9% dust free products! The ammonia blocker will definitely be a great bonus. Thank you for the opportunity for the gift card always a plus. I have three cats and having a smelly litter box in the house… that’s one of my biggest fears! If I won the thousand dollars I would use it to organize my back bedroom so my cats would have more room to play and rest. 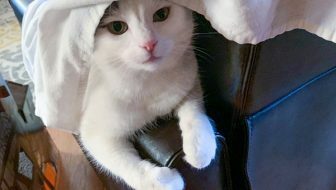 Having 19 cats I need all the help I can get!!! TidyCats is on of the best litters out there! I’ve tried more expensive ones (when there were less cats) they did okay, but we’re not worth the price. TidyCats is just as good and costs a whole lot less!! I’ve been using Tidy Cat for years! I was a 3 cat household, but unfortunately now I am down to just one cat. How fun it would be to have $1000 shopping spree to the container store to allow me to get a few more areas of my home organized ! My two gals and guy are seven and fourteen years old. They demand clean boxes that don’t stink, or else they’ll kick sand everywhere. So we are all very happy with the new light weight Glade and ammonia Tidycat formulas! If we win the contest, we will resort to retail therapy to contain ourselves! We could use. new carriers and bedding for traveling and sleeping! We will also will splurge on specials meals and toys for entertainment! 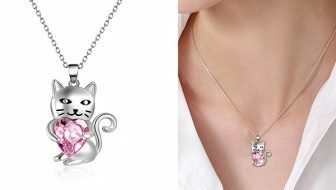 Over the new litter also my hubby & I would be also be meowing & purring too from so much excitement of no more ammonia smell. My boys are both fixed, so don’t use an ‘ammonia blocker’ Tidy Cats, but would sure use some bucks to shop at Container Store! Yeah! I’m a long-time Tidy Cat user and while I find it works for me better than other brands, I really like the idea of if having an ammonia blocker. With three cats, one of who uses the litter box excessively due to medical issues, I’m constantly scooping and even then they get the ammonia smell. As for the gift card, I went to the Container Store for my first time a few months ago and am now a real fan of the place. I’m working on organizing and decluttering my house, and one of the things I need to do is store items from the two of my three daughters who have moved out (and left a number of things here for lack of room where they are living). We have had too many times when we got water in the basement, so having some high-quality plastic storage containers would actually give me another option for storing everything. Fingers crossed. I really need this! As much as I spend on litter per month, this would be just awesome to win! With the cats I have, it’s a full time job keeping any kitty smell out of my house, so a litter with ammonia block wold be great. I love the Container Store and would have no problem shopping with a $1000 gift card!! I don’t believe I could or would contain myself if I won the $1000 to The Container Store. I would be crazy with excitement. I am also excited to try the Tidy Cat with the ammonia blocker because having 9 cats with only 3 litter boxes it can get very pee yewie even staying on top of it. I need a litter with the ammonia blocker. Admittedly, I can’t even imagine what I’d do with a gift card to the Container Store. INFINITE POSSIBILITIES. I know exactly what I’d do with the litter, though, LOL. Our two girls live Tidy Cats and I’m excited that it is 99.9 % dust free and the amonia blocker Will be an added plus. And the $1000 container gift card. That will absolutely help my boyfriend and I get our house more organized. Thanks for the chance and good luck everyone. I love the idea of the 99.9% dust free!!! And the $1000 to the Container Store would get my closets and attic organized so that the cats have more room to play!! Even though I scoop twice a day normally, I feel like I can still smell the litter box. I’m excited to try lightweight ammonia blocker so hopefully any oders will be eliminated. If the new Tidy Cats is 99.9% dust-free, I may have to check it out (Lita and I both have asthma). I have always loved Tidy Cats but just couldn’t keep on using them the past few years due to the severity of Lita’s asthma. I am in desperate need of some containers here. We just moved into a much smaller space, and I’m still trying to figure out how to organize it all! I love the light weight feature because I have a bad back, and hate lifting heavy litter bags! We like to think we keep our three litter boxes clean but sometimes you still get that cat pee smell. Would try this to see if it helps, but it also needs to be low dust. I love the Container Store – we’d pick up some closet shelving. I’m excited to try TidyCats with Ammonia Blocker because I’d love to see how well it works. 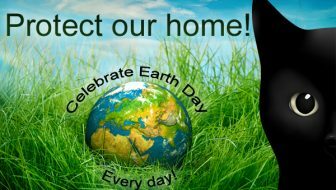 Plus we get a lot of company and I want my guests to enjoy and love my cats and not smell them 🙂 I love that there is instant action litter! To win would be totally pawsome <3 I would try to contain myself but don't think I could. I'd let out a big scream in excitement for sure! 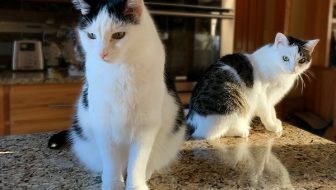 I would LOVE to have $1000 to put towards some Tidy Cats! Being a breeder, I go through litter constantly and this would be a tremendous help! This is much needed for my fur ball! If I won, I would squeal with delight! ? Desperate for something like this. We have two boxes in our master bedroom. We are on top of it , but still. It’s bad by morning. I’m so excited to try it. We share a bathroom, so it will be nice to not have the scent of amonia to deal with. I am excited to try the new Tidy Cats with Ammonia Blocker because I love to test new products out to see if they really do what they promise. I will contain myself with a fun shopping spree of boxes and containers if I win the gift card. My cat Cream would love to have some new boxes to play in. Why are you excited to try the new TidyCats with Ammonia Blocker? How will you contain yourself if you win the gift card? I have 5 cats and socialize ferals with kittens before releasing them so I change a whole LOT of litter. This brand sounds fab as it is the ammonia that makes box changing so stinky. We love this brand, and I wouldnt bother ‘containing’ myself if I won. That would be fantastic. I would be excited to use the Tidy Cars with Ammonia blocker because I watch my sisters cat sometimes and the liter box can get stinky. Since I am the only one who cleans the litter boxes for my 3 cats, I think this would be a great help! I love Tidy Cat products already! Sounds like a great product. One that I can use. I am the sole person who cleans the litter box & I would welcome having less smell. I get excited if I win anything. My 2 cats seem to pee a lot so the Ammonia Blocker would help with odor. $1,000 would buy a lot of containers! Sounds like a great new product. I have 1 cat and my daughter has 2. They are all seniors and seem to scratch the litterbox for hours when in there. I have always used Tidy Cat so this new one would be great. And id share with the animal shelter i volunteer at. We would be excited to use the Tidy Cars with Ammonia blocker because we have 3 cats and the oldest has renal failure so her urinary output it huge. We need all the help possible. Funny this offer just came up because I just sent my hubby to the store to buy Tidy Cats Black top, kitty litter! Thanks so much for the giveaway! I have 2 cats in the house & it can get quite stinky. The Ammonia Blocker would help. I’d use the giftcard to organize my pantry. I have 8 housecats. All rescues. I’ve tried about every litter out there. I keep coming back to Tidy Cats regular. My favorite. So yeah, I sure would love to win ! I am excited to try the new Tidy Cats litter because I have 3 cats in the house. They are all neutered males who love to scratch up a storm in their litter boxes. 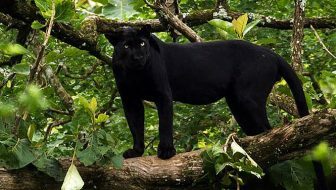 Their urine tends to be very concentrated and smelly even though they drink lots and lots of fresh water. The Ammonia Blocker would be very helpful with these guys! If I won I would call my sister right away. I am excited to try the new TidyCats with Ammonia Blocker because I have 3 indoor only cats and I think this would be great to help with litter box odors. I do not think I could contain myself if I win this gift card. I would probably cry! Right now I am trying to find a better working litter for my small space. Would love to try the new litter! I have one cat whose litter box is located in our hall closet near our entry way!! Perhaps that will help control odor! Just 2 furbabies here now, but our boy has been having issues using a box some days (and yes we use 5 in 3 areas of the house) Purrhaps he will be attracted to and happy with this Tidy Cat product. Paws crossed. We have two cats, and I would love to try this because of the low dust, and of course better smelling is great. The gift card would be more awesome than words can express. We are in need of so much organization. I have a sewing room that needs major attention, not to mention the rest of the house. So thank you and Tidy Cats for the chance to win. Looking forward to trying the new Ammonia Blocker Tidy Cat — really like that it blocks the odor for 2-weeks. Being low dust is a plus too. With my cats, I need the Ammonia Blocker Tidy Cats litter. Even though I change litter every week and scoop several times a day, I can still smell the catboxes. I love my cats and know it is just part of living with them. But if there was something else to help, I would love to try it. I have a lot of organization goals for my house, so if I won’t the gift card, I would definitely be able to put it to use. I want something to help me organize my kitchen pantries and closet. I have four cat of my own and often have foster cats. I need something to help with odors. We have a multi-cat home (lots of litter boxes) and your new Ammonia Blocker Tidy Cat would be great for us! Odor control and low dust, good for the kitties and good for us. I would buy at least a few months worth of litter and stock up, and get our cats some new baskets and cat trees. I would probably stock up on their food too! What an exciting and generous giveaway, thanks for the chance! Good luck everyone! We have 5 meows, so I believe this will help a lot w odors. We also just moved, so reorganization is a priority!! I’m planning to use the coupon to give this litter a try. If I win, I will probably remodel one of our bathrooms and make it more litter box friendly! I have 4 cats and am willing to try anything to help with the pee-yew smell! And 99.9% dust free is awesome. I can’t stand litter that leaves dust everywhere! I have 12 rescue babies and just me to complete litter patrol ! Any product from our Tidy Cat family that is new and can be of help , would be of a fantastic advantage !! As it is , I spend a fortune on T C for a multiple household ! Thank you so much. We have a house of 4 cats and two humans – I am excited to try anything that will help keep the house smellling cleaner between scoopings! I NEED the new litter as I have 20 cats in my house (most of them fosters!!!) and keeping up with the litter boxes is my 2nd full time job!!! If I won the gift card it would help me organize all my rescue stuff and believe me, there’s a lot!!! I only use Tidy Cat. I trust it and my cat has never given me a moments trouble. I have two boxes and they always contain Tidy Cat. I am so looking forward to trying the new litter with ammonia blocker. So many times I hold my breath to clean the cat box, it’s awful. If I won the gift card, I wouldn’t be able to contain my excitement, I’d be screaming all the way. I only use Tidy Cat in my litter pans. Controls the odor better than the other brands. Ammonia Blocker for the win! Who doesn’t want a better smelling cat box?!? Wouldn’t be able to contain myself! I would donate my card to the animal shelter where I volunteer for a silent auction or fundraiser. With 5 rescues we could really use Tidy Cat with ammonia blocker. We have 4 litter boxes and our boys insist on using their 2 favorites. Living in a small space, this means I am scooping 4 times a day. We have 2 cats who thinks the box is a sandbox to lay and play in so I am constantly vacuuming as well. We love the Container Store because they have the covered trash cans, bins on wheels for the tubs of litter, and tons of great ideas to keep me organized! The more I am organized, the more time I have for kitty snuggles, playing with my babies, and helping save the lives of cats in my area! I am looking forward to a less smelly box. Even though I have only two cats they are mighty! Contain my excitement? You will be able to hear me screaming all the way from Texas! I use TC blue now, but would like to try new type. I have too many cats! Well, not really. But we aren’t looking for anymore soon. Anything that makes litter detail easier is good for me! I’m so excited because my cat has a small space and likes to play in her litter! Eek! I cannot contain myself and Maddie my kitty is purring with glee! With multiple cats, all rescues, the litter boxes can be an issue. Even missing one scooping is a disaster. With this Ammonia Blocking technology it may just be a lifesaver if I get home late or forget once in a while.As far as containers, everything from pet food and treats, litter, toys for the zoo as well as containers for the food for us humans who are allowed to live in the cat house, I can think of 100s of organizing I could do with some help from the container store. I am excited to try this as that is one odor that i just can’t stand, no matter where in the house the litter box is the ammonia scent just gets to me. I would just flip if i won this gift card. I think my whole neighborhood would hear me screaming with excitement!!! Me WOW! I don’t use anything but Tidy Cat liter. I prefer the one with the black top. Anything that would get rid a lot of the smell is worth getting. My kitchen is what really needs to be contained. I have 3 cats and sometimes the smell is just awful..This would be so wonderful to try. I wouldn’t be able to contain myself! It would be such a blessing to win $1,000!!! I would LOVE to win, I have 3 cats and their litter boxes need to be cleaned daily. I would love to win a gift card it would help me to organize our furbabies area. I would buy my two daughters something with the gift card to help them be organized. They both have furbabies and are both newlyweds. They got married 6 months apart another reason I would LOVE to win a gift card. I’m excited about the light weight litter. I live on the second floor and it would be lovely to not have to lug heavy litter up all those stairs. A $1000 would be a whole lota organization! Excited to try this new product. The ammonia blocker sounds great for a multi-cat household. I have 3 stinky cats! I’m excited to use this because I love Tidy Cat and this is one I haven’t tried yet. I currently use the 4 in 1 Strength and I am happy with the product. The ammonia blocker sounds wonderful, especially with a multi-cat home. The gift card would be great in helping me get organized. I’m excited that there wouldn’t be any pee smell for 2 weeks! I don’t think I would be able to contain myself if I won the gift card… I’ll be jumping for joy! With 2 cats, I would love to be able to better control the smell that always seems to be there no matter what you do. The gift card would help me organize the room that I have designated as the cats bathroom. Initially, I was excited to see this contest because I thought the thousand dollars was all for cat litter!!!! I have not yet tried the lightweight litter, and would love to see how it compares to the regular Tidy Cat, which I’ve used for years for William and Elizabeth (orange tiger rescue cats). As far as a $1,000 gift card to The Container Store – oh, my! Containers for dry food, containers for treats, containers for toys – plus, some designated for the two people in our home and our dry food, treats, and toys, too! What cat owner wouldn’t want an ammonia blocker?! It’s things like this that make us kitty parents squee with joy! I would use the gift card to help spay & neuter the homeless kitties in our neighborhood. I currently use Tidy Cats and now with the ammonia blocker it’s even better! I’d use the gift card to organize the utility room where Mittens’ box is and put the cat stuff and relaxing (not using right now) toys away. I have 12 elderly cats. I spend every dime I make on them. I also feed several feral colonies in the woods. I would just continue to take care of them. We have two cats, Lieutenant Doof and Miss Kitty, in a very small home. We do have a good place for the box, but in a small home… :/ I would love to organize that space with shelves for cat supplies! I have been unhappy with the smell from many litters that I’ve tried in the past 6 months, so one that blocks ammonia sounds great to me. And the $1,000 GC would help me get things organized which will help me when I move in a year or 2. 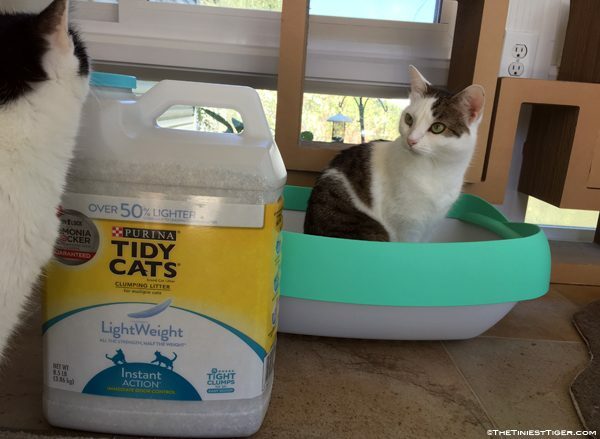 The new Tidy Cats LightWeight with Ammonia Blocker cat litter would help control the smell that can sometimes get very strong especially with an older cat like mine. I would definitely have to control not jumping up and down too much so as not to scary my kitty when I won the prize! I am excited to win because one of our two kitties is diabetic and he pees an extraordinary amount (which is good because it means his little kidneys are functioning perfectly) but the smell of all that ammonia is less than delightful and I must scoop the letterbox very very frequently so that the liter is dry and fresh and not a turn off for either cat. So what I’m saying is that a new better litter would be awesome but I already use this litter so I would just get lots more of it for more frequent litter box changes using the gift card were we selected to win. I am excited to try this because I hope that I won’t ever have to spell cat urine again! 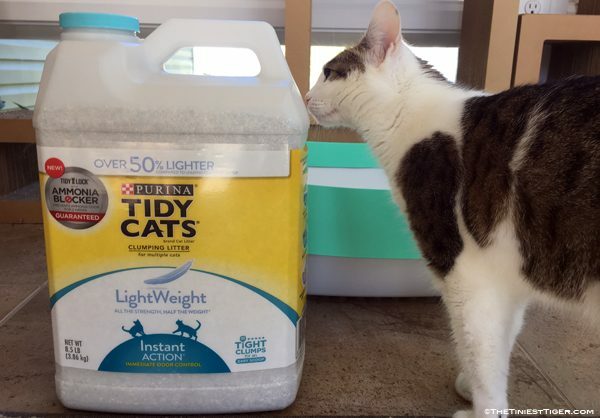 An effective cat litter can not be overrated! I’m excited to try it to know how it handles the litter boxes of three kitties. I would be speechless if I won! I have 5 kitties so I really need the ammonia blocker! If I won this I would completely reorganize my home. With two fluffy butts … a great litter is always important to avoid messes. Would love to win this. And the amount would even give me the opportunity to share. it would help to keep the smells down. I would organiize things around here with the GC. I am always looking for a new, and better, cat litter! And the gift card would just be icing on the cake!